83-150 Units: 1 Place candy coating in each palette, plug in, and soon you'll have melted candy coating for painting and detailing. Each cup is 1" tall and holds approximately 4 or 5 wafers. Caps for jars included. Aluminum. 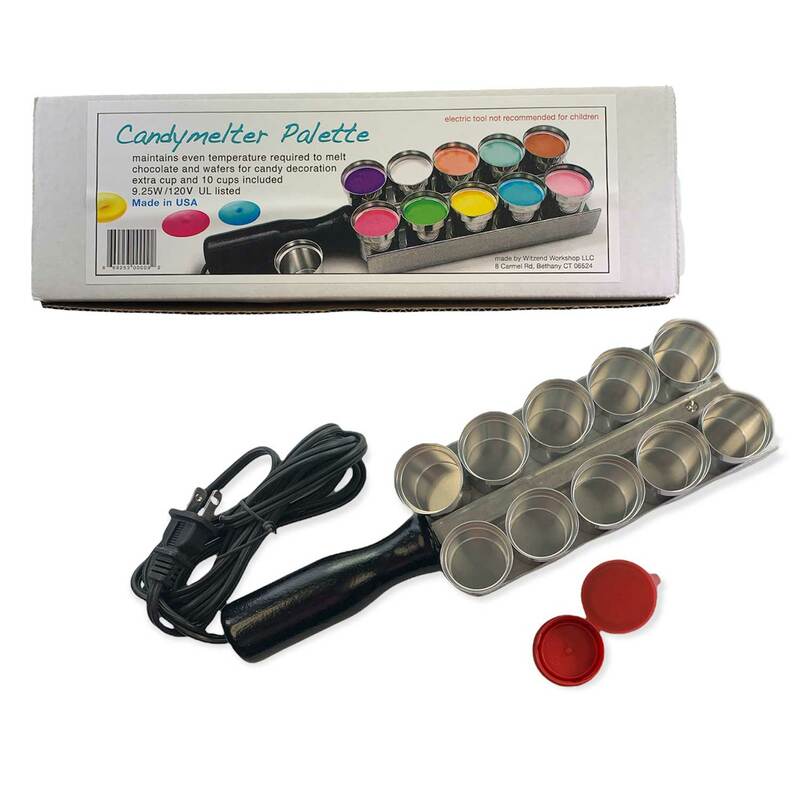 Place candy coating in each palette, plug in, and soon you'll have melted candy coating for painting and detailing. Each cup is 1" tall and holds approximately 4 or 5 wafers. Caps for jars included. Aluminum.